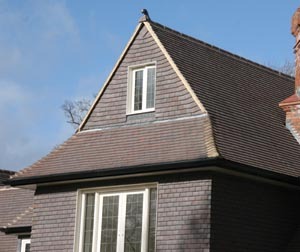 The roof is the dominant feature of this luxury Arts and Crafts self build home and the owners knew that they wanted to use a dark handmade tile. 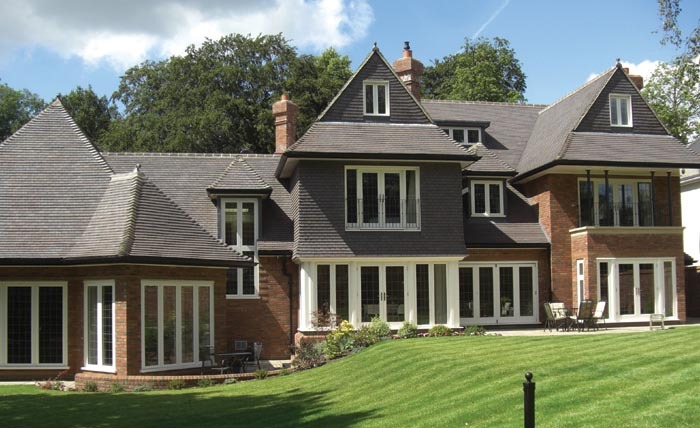 They wanted to use high quality materials and had looked at a wide range of tile options but had found that most of the dark tiles on the market have been “sprayed or painted” artificially. 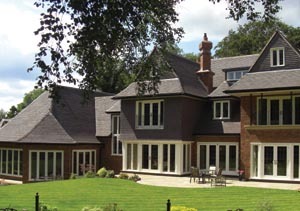 Nigel Collingswood, the architect at Qube Design incorporated a number of different features into the roof which add interest and create shadows. His design allows for 2 stories within the roof space and uses many dormer windows, differing roof levels and spocketed eaves. By using sprockets, Nigel has created subtle lines and given elegance to the building and he has accommodated the pitch transitions by adjusting the tilt of the bonnet hips. The sense of quality and attention to detail is emphasized by the use of special shaped hip finials that accommodate the curved shape of the adjacent bonnet hips. 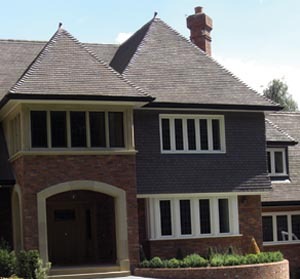 Only small format tiles could achieve the complex roofing features central to the design of this elegant home. 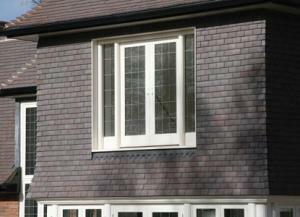 The choice of tile was clearly a key decision given the prominence of the roof. Brian Murray was determined not to use an artificially coloured tile. He wanted some variation of colour, texture and shape in the tile that he chose. He is so happy with his choice that he is building another house for his daughter now and is using the very same tile!